Building a website has become critical for jump-starting modern marketing, building company reputations and branding products. Even personal social success is defined by establishing a website or starting a blog to reach like-minded friends and followers in the digital age. Websites are collections of files that you can make accessible to other people across boundaries and borders. Web servers store the information and applications that run on your site, and hosting services make maintaining personal and business websites possible. Different types of hosting services offer structured benefits for various types of websites and businesses, and choosing the best hosting option depends on your particular needs. Small website operators might do fine with a free hosting service, but larger companies might prefer the redundant options available from clustered hosting. Other possibilities include dedicated servers, managed dedicated servers, colocation hosting and cloud hosting services. Choosing the best option for your needs involves understanding the relative benefits and drawbacks of each type of service. 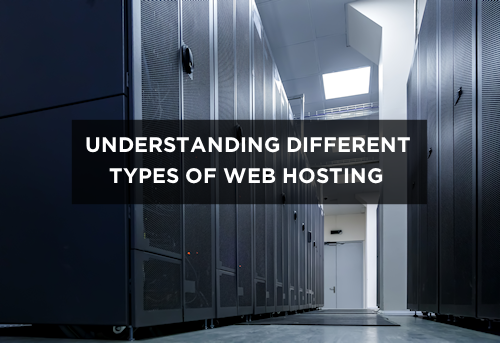 Understanding the features, costs, performance and types of websites that each hosting option serves can help you make better cost-value decisions. Free services work best for private Web pages, small-audience blogs and static websites because you have limited control. Your choices of monetization strategies will be restricted because free services will run their own ads to earn money or have some other limitations. These services share dedicated server resources with multiple users. Sharing a server results in some security risks, smaller processing capacity and fewer software- and database-support options. Prices are more affordable for smaller needs, and you do get better administrative control and more monetization options. A dedicated server provides robust features, full administrative access and unlimited use of software and applications, but you are responsible for your own security and maintenance. This is the best option if you plan on generating lots of traffic or use special software. Basically, dedicated server hosting is like running a branch office where you are responsible for security, vandalism and maintenance issues. Managed hosting services provide security updates and keep operating systems working at maximum efficiency. You get spam filtering, virus scanning, security auditing and other benefits that allow you to concentrate on your core business. In the simplest terms, managed hosting not only rents you space but also mows the lawn and takes out the trash. Host specialist can help you scale RAM, memory, storage and RAID configurations to meet your specific needs. 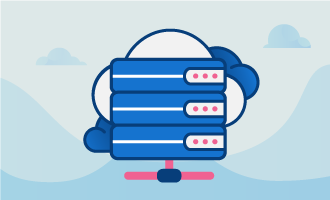 Cloud hosting is a technology that supercharges Virtual hosting by taking advantage of multiple source to provide capability, better performance and redundancy. You can choose from several types of cloud services for full or partial hosting of services. The cloud option reduces costs of buying hardware and paying IT staff and allows smaller businesses to share advanced IT resources. With possibility of increasing cloud server resources on the fly, it allow companies to keep up with their customer demands without breaking the bank. Clustered hosting offers redundant servers to take over when one server goes off-line. This solution can be expensive, but it might be the best choice for high-traffic websites that target global customers. Highly scalable, the option provides high availability for multiple website applications. You can easily shut down one server for maintenance while assigning its load to other servers. Of course, cost are high, and the hosting option increases the infrastructure that needs managing and monitoring. A cluster can be assemble from a bunch of dedicated servers, cloud servers or even an hybrid of both. This is a very robust solution. Make sure to work with a hosting provider that can be flexible and help you grow your business base on your needs.